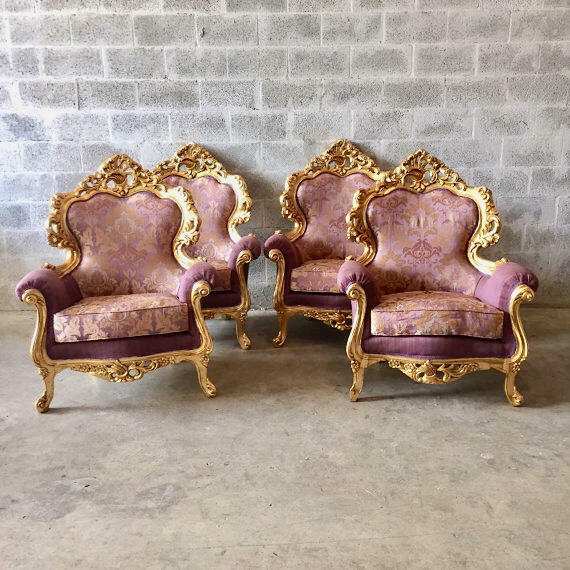 This is a beautiful 4 piece Italian Rococo set of Throne Chairs purchased in France at auction. 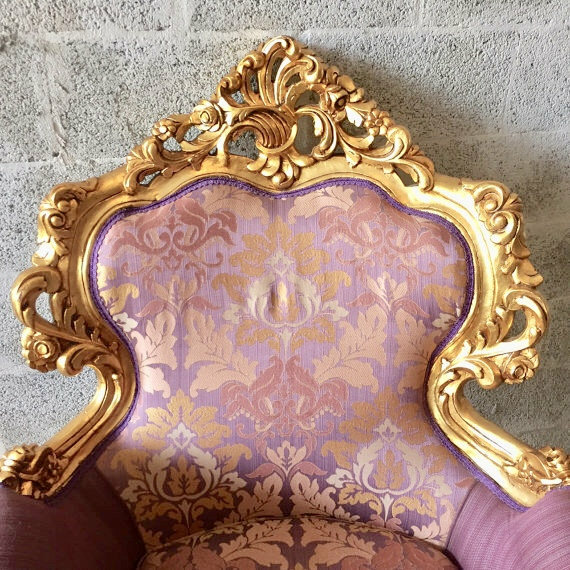 The frame has new gold leaf and fabric was upholster in Italy using a high end french purple/lavender damask fabric. The frame is super sturdy and you can use this everyday. 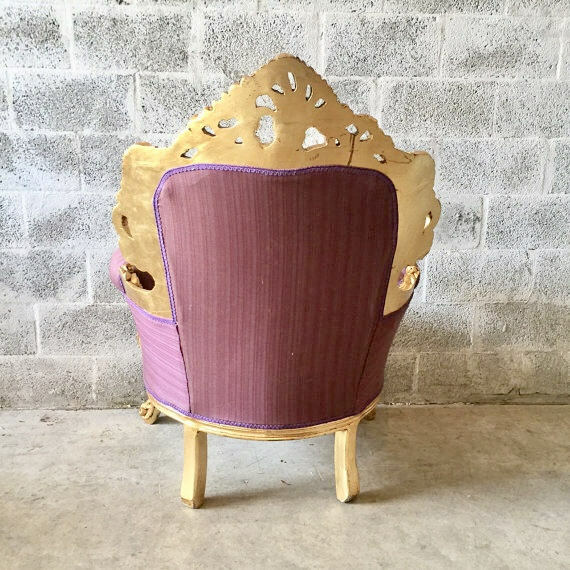 It is comfortable and has stunning handmade carvings. 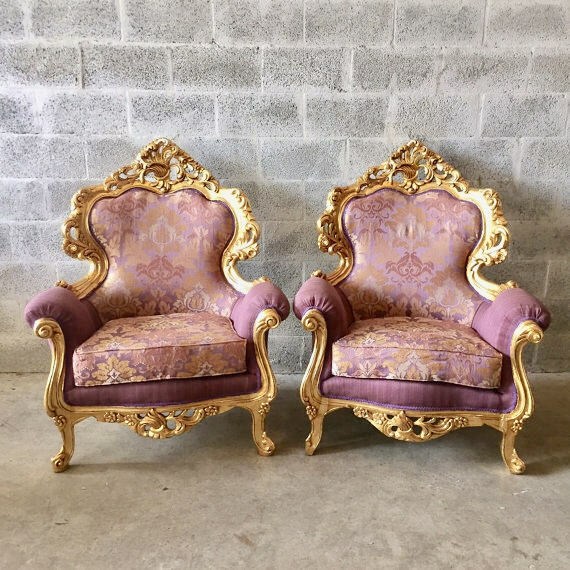 Dimension Chairs: 34"W x 47.5"H x 32.5"D. Floor to seat 20.5"